How Much Do WhatsApp Calls Really Cost? Are They Cheap? When WhatsApp launched free voice calling feature on their uber popular messaging client, there was suddenly a rush of people (including myself) saying that it will severely affect the traditional mobile voice call business. When you have 800 million active users on your system, it is obviously going to affect other competitors in same space. But have you given a thought as to – are these voice calls really free? Ok, theoretically, they might be very cheap if you use it on your broadband connection, but what happens when you use it on 2G/3G/4G mobile internet? Here we try to find out whether these WhatsApp voice-calls are really cheaper than traditional calling or not! Folks over at AndroidPit carried out a similar experiment, and we did the same at our end and here are the results. 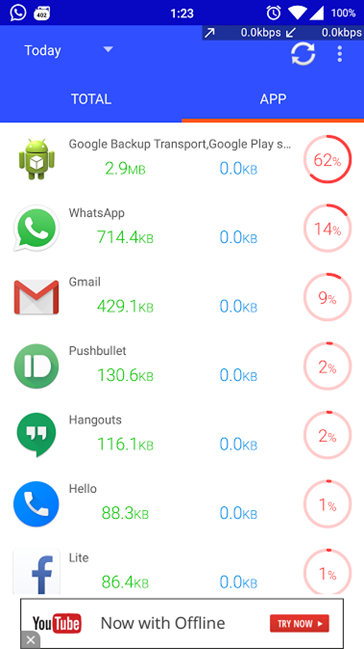 According to AndroidPit guys, a minute of WhatsApp call on 4G LTE connection consumes roughly 960kb per minute. In our tests, we made multiple one minute calls to find out. One a WiFi connection, it consumed nearly 1.2mb per minute, in 3G it consumed around 715kb per minute, and on 2G it showed us roughly 620kb per minute. However, in reality calls on 2G were extremely bad and you would never want to call through WhatsApp on a 2G. We had tried it earlier as well, and we found that 2G calls are literally trash! On 3G the call quality was in acceptable range, while on Wifi, we got a decent call, but still not at good as a traditional voice call. We used Data Monitor app as well Android system Data usage to come up with these numbers. Interestingly, on faster connection more data was consumed, while on slower connection lesser data was used by WhatsApp Voice calls. If you are on a WiFi connection, obviously it works out very cheap, but then you need to have a WiFi hotspot all the time, which is a severe limitation when you are traveling outside. If you are in India, it works our cheaper than ordinary voice calls, however, if you reside out of India, in most cases, a minute of WhatsApp call will be much more expensive than a minute of traditional call. As a thumb rule, you can conclude that one minute of WhatsApp call will consume roughly 1mb of data. So, you need to simply calculate, depending on the cost of the data pack as to how much it will cost you. On Idea Cellular, 1GB data pack costs around Rs. 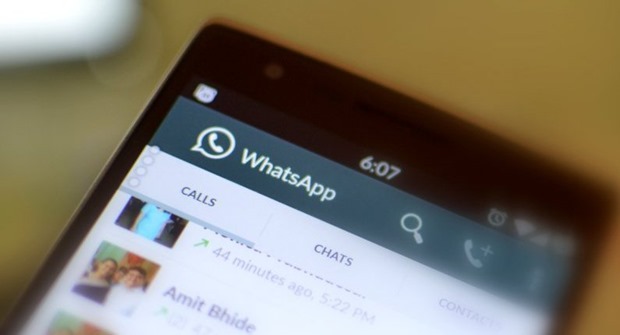 250, so a 4 minute call on WhatsApp will cost you around one rupee. In India, WhatsApp call is definitely cheaper – A minute of WhatsApp call will cost you around 25 paise, while a normal mobile voice call will cost you anywhere between 50 paise to 1 rupee per minute depending on the plan that you use. Carry out this test yourself, and let us know if the data usage for WhatsApp is consistent with our findings. This calculation goes completely wrong since the receiver needs an active data connection too. So one minute of WhatsApp call will consume roughly *2mb* of data and a 2 minute call on WhatsApp will cost you around one rupee. since you are charged for incoming calls too. I’ve downloaded whatsapp on before 4 month. There is no call options in the whatsapp app. Can you tell how to update my whatsapp app. 1) Tango is best in 2G Voice and Video calls. 2) Skype, Viber, Google Hangouts is best in 3G Calls. 3) Whatsapp worst in both. WhatsApp uses less data for a one minute call on 2G. They probably check your internet speed when you make the call and depending on the maximum they could get out of you they decrease or increase the quality of the call. It is just like listening to a 128 kbps song and a 360 kbps song, the 128 is of less size and sometimes you might still not be able to differentiate between quality. Have you considered that data is being used at both ends, wheras call picking is free via traditional networks ? In your study, you have missed considering the data usage for user who would be receiving the call. Essentially, the cost should double to 50 paise per minute which is equivalent to the normal call rates in India. Cumulatively, Telcos their is no revenue loss but distribution. If I am customer, I certainly will not pay for incoming calls on my mobile. Hence, people moving to all whatsapp calls is a remote possibility.